All you need is a fresh coat of paint to bring the brightness of your garage. 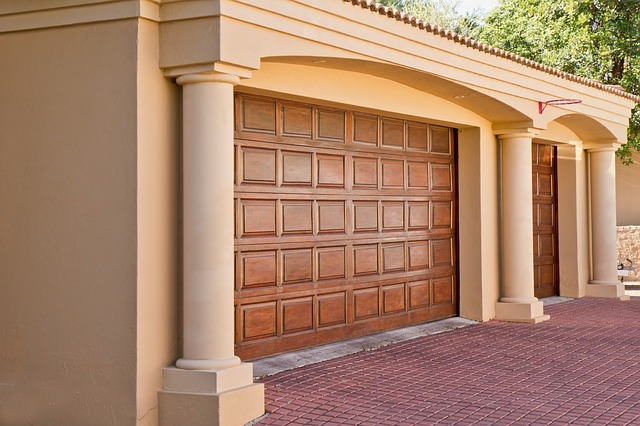 House garages are just one of the many things that formed and developed along with the advancement of technology. At first, garages were used as stables where carriages and horses are kept. As cars became kings of the road, garages transformed into a storage area for vehicles and other supplies that would remind you of an auto repair shop. In some cases, homeowners build extensions to have more spaces for other house items. In time, their uses extended from being just a keeper of vehicles to a work station (Google, Apple, and Hewlett-Packard are just some of the many companies that started in a garage), practice room (rock band Nirvana first churned out its hits in a garage), and even a gym! With so much potential in a limited space, not to mention the fact that your garage is likely the only thing your neighbors will see inside your house, you might as well make it a cozy and nice place to hang out. You do not have to go and hire a professional interior designer to transform your garage into a Friday chill-out place (although it’s an option). Sometimes, all you need is a fresh coat of paint. 1. The Materials: Have a painter’s tape and lid can opener ready. Some homeowners use masking tape as an efficient way to cut costs. However, this can come at a terrible price. Masking tapes, when left stuck on a surface for too long, can leave sticky residues that you might have to scrape off once you are done. Another reason is that paint can easily seep through the “leaf” of the masking tape. You might consume more time repainting the trim or scraping the residue off than actually painting the wall. Meanwhile, using a flat screwdriver to open your new can of paint can result in trauma on the lid. This could lead to leaks and holes that would incorporate air inside the can and dry out the paint immediately. Using the right tool, the lid can opener, prevents this problem. 2. The Surface: Sandpaper is your best friend; not the paint. Okay, this might not sound convenient, but bear with us for a second. Some pros consider sanding as more time-consuming than the actual paint job itself, but the convenience it brings and the quality of the finished product makes it worth it. The purpose of sanding is to smooth out rough edges and surfaces brought by tacked nails, uneven places brought by dried-out paint or weather conditions, and rough patches from damaged areas. The goal is to make the wall surface as smooth as possible so that the paint roller and brush can easily glide across it. It also ensures that the primer and paint would stay put. When sanding your wall, start from the bottom edge then go all the way up to the ceiling part. Then, go horizontally. For crevices, pros recommend a sanding sponge for better work economy. One important thing you must take note of before sanding or practically doing anything on your wall is the previous paint job. In old houses, most walls are painted using lead-based paint. Sanding it immediately before checking out its history might force you to absorb all the paint residue and all that lead into your system. This can lead to respiratory and skin problems. To know if the previous paint is lead-based, buy an EPA-approved lead testing kit from the hardware or paint store. Once it tested positive, contact the regional health department or a lead abatement specialist. Make no attempt to eliminate it by yourself. 3. The Wall: Invest in a primer. Primers, just like in makeup, are there to prepare the surface for some heavy-duty job of keeping a substance in place. In this case, a primer is there to make sure that the paint would still remain intact for a long time. It also ensures that the color and sheen stay consistent throughout the whole surface. In choosing the right primer, you must have an idea of the present condition of your wall. For high-gloss, porous, wood, or plaster walls, pros recommend using a bonding primer to help stick the paint further. If your wall has a wallpaper attached to it (and you don’t want to bother removing it), use an oil-based primer. Water-based primers can cause unnecessary mess brought by peeling because of the wallpaper glue. The latter only works best for fresh, unpainted walls. Additional tip: To lessen the number of coats, use a tinted primer that is close to the color you want for your wall. 4. The Paint: Use the “boxing” method. Instead of dipping your brush in a can of paint, mix all of the paint you will use in a pail. Why? The color of the paint inside each can tend to vary in terms of shading and color. This might easily become noticeable as you use a fresh can of paint over the previous one. To eliminate this problem, put all paint and mix them together in a bucket (also called “boxing”). Not only would the color remain consistent; your brush or roller has more room to drip the excess paint off. Speaking of rollers, the most hassle-free way to apply paint, according to pros, is to use an airless sprayer. It does the paint job twice as fast compared to using rollers and brushes. But like other tools, it has disadvantages. For one, miniature splatters can be a problem, so covering up your body especially the eyes and nose and other areas in the garage that do not need painting require more time and effort. Some paint stores offer rental services for airless sprayers if you cannot afford to buy one yourself or if you do not plan to use it frequently. 5. The Act: Do the edges first before the middle. Painting the edges and trim first before you tackle the whole wall lessens the time you need in handling them. Plus, it saves you from tons of headache due to disrupted workflow. Imagine having to stop the roller every time you reach the edge, letting it go, getting a specific angle brush to paint the edges, then going back to the roller to paint the middle. It’s crazy! To avoid the inconvenience, tackle the edges first hand. Use a 2-inch angle brush to paint the edges and unreachable surfaces ahead of time. Then, have fun using the rollers!